Greta is an armchair with solid wood feet, and removable cover in fabric, leather and eco-leather available in several colours. With a cosy seat and rounded armrests. Greta is an armchair with solid wood feet in natural, cherry painted or wengè painted solid ashwood, or chromed metal. 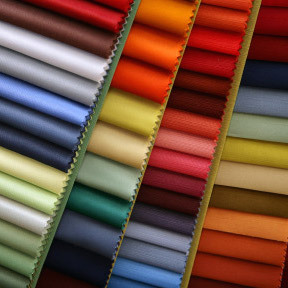 Its cover is available in fabric, leather or eco-leather in several colours displayed in the Milano Bedding samples page. 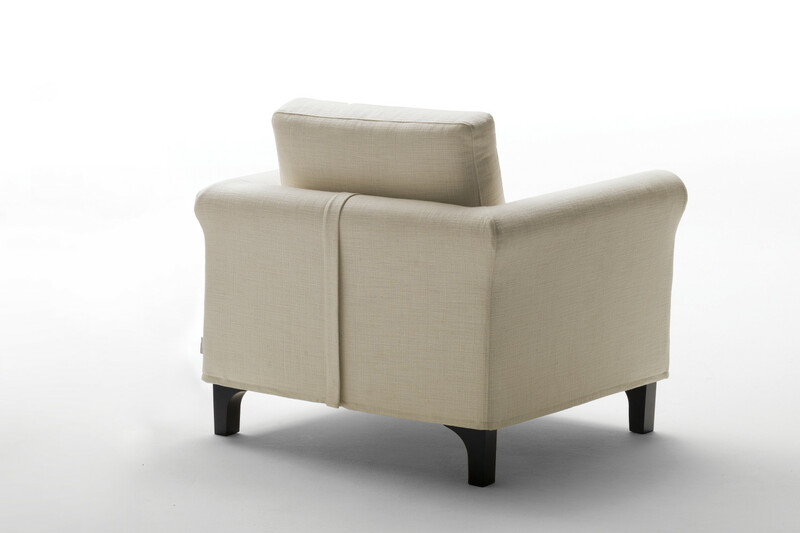 Depending on how you configure it, Greta becomes a modern armchair, a classic armchair, or even a country armchair. Its cosy lines make it perfect for domestic or contract environments. The cover can be removed and washed according to the specific of every material. The zip on the backrest, covered by a strip, allows to remove the cover and characterises the look of this elegant sitting room armchair. 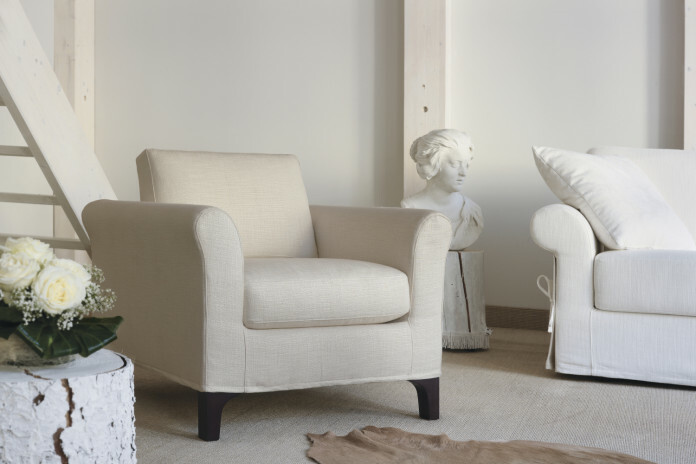 Greta differ from the other armchairs included in the Milano Bedding catalogue thanks to its rounded curved armrests. The armchair is available in fabric, eco-leather and leather in several colours displayed in the samples page. The cover can be removed and washed according to the specifics of each material. The feet are available in natural, cherry or wengé painted solid ashwood, or in chromed metal. Frame: structure in solid fir wood and poplar plywood. Backrest in poplar plywood. 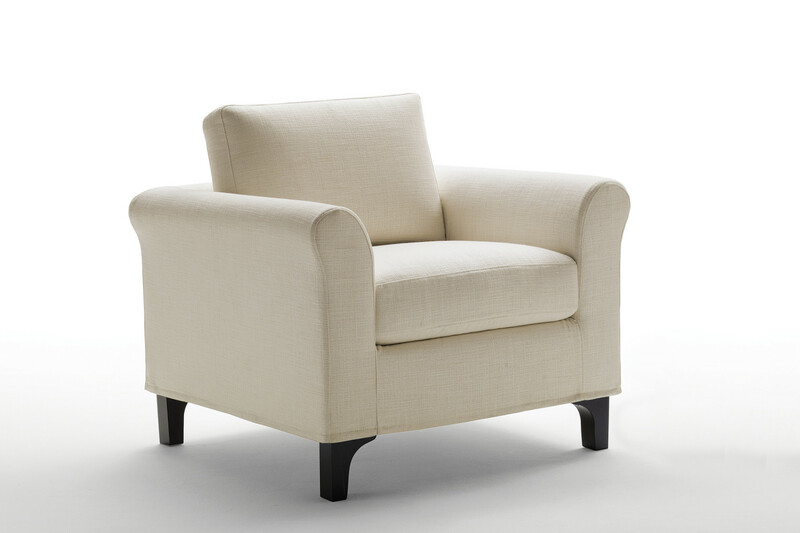 The armchair cover can be removed and washed: please follow the specific washing instructions of the cover chosen.